Google announces Sky VR for Daydream and The Sims for Tango as part of its continued push to get virtual and augmented reality off the ground. There might not be a new Pixel or Google Home to test at Mobile World Congress this year, but Google does have some new things you can at least pretend to touch. The company just announced some augmented and virtual reality updates, including new games, apps, and a pretty major milestone. While Google's Daydream may offer one of the best VR experience for Android, the company's Cardboard viewer is still the gateway to virtual reality, offering a super-cheap taste of what the platform can bring. 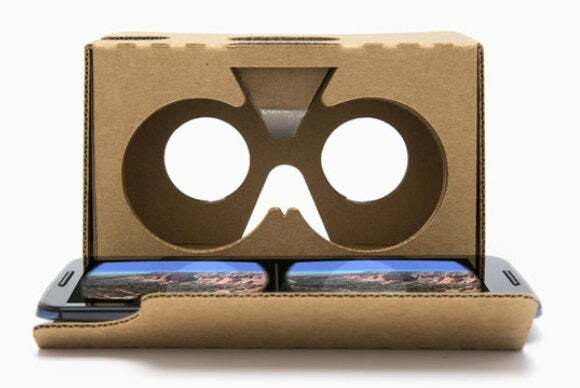 In a blog post, Google announced that it has shipped more than 10 million Cardboard viewers around the world, and people who buy those viewers have downloaded more than 160 million accompanying apps. As part of its continuing efforts to convert them all into full-fledged Daydream users, Google has announced Daydream support for Sky VR, bringing “a range of immersive 360 videos, including from Sky’s partners like 'Star Wars: Red Carpet,' 'Anthony Joshua—Becoming World Champion,' and clips from Disney’s 'The Jungle Book'" to the headset. Earlier this week, Google also announced that the popular Virtual Rabbids and Beartopia games will be getting the VR treatment. Now you can explore your Sims house in AR. On the augmented reality front, Google is spotlighting three new apps. First up is The Sims, which lets you use your phone with Tango technology to travel around the Sims house and interact with the characters. Next is Chelsea Kicker, which turns you into a pro footballer as you perform tricks and skills with John Terry, Diego Costa, Eden Hazard, and other stars. And finally, WSJ AR lets you literally visualize stock trends and watch your portfolio come alive. Reality show: While Google isn’t showing off anything particularly groundbreaking here, the continued push to get AR and VR to more people is great to see. Both technologies are still nascent, and it’s going to take a killer app or game to give it the push it needs to break through. But still, 10 million Cardboard viewers prove the interest is there.